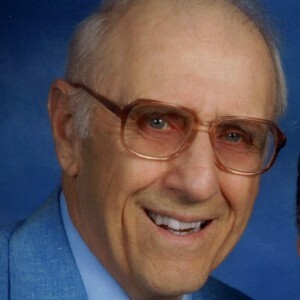 Harold Hopkins Hartman, age 89 of West Chester, PA, died peacefully at home surrounded by the people who loved him most, on April 5, 2019. He is survived by his wife of 63 years, Helen Hartman; his son, David Hartman; his daughter, Joyce Fiorentino and her husband Peter Fiorentino, his grandchildren, AKA “The Herd”; James, Michael and Peter Fiorentino, his sisters Marjorie Lafferty and Janet Seekins and her husband Dennis Seekins, his sister-in-law Dorothy Hartman and many nieces and nephews. He was a beloved Husband, Father and Grandfather. Harold was interested in many things, history, politics, baseball, travel, gardening, fishing and he had a great sense of humor. But we will remember him most as a man who loved and took care of his family. We would like to especially thank his caregivers; Shannon, Linda, Deb, Felicia, Nina, Maryann, Eileen, Phyllis and the wonderful people from Willow Tree Hospice. Without all of your help, keeping our father in his own home would not have been possible. We love you all. You are invited to visit with Harold’s family from 9:30 to 10:30AM on Tuesday, April 9, 2019 at Kuzo Funeral Home, 250 W. State St., Kennett Square, PA 19348. Services will begin at 10:30AM and interment will follow at Union Hill Cemetery. Joyce, I haven’t spoken nor have Have I seen you since our Unionville High School years when you, Janice and I were friends and hung around the Brandywine Hills Gang. Even though I am now in Florida, I still think of you and Janice often. My prayers and condolences go out to you now in the loss of your Father. May you find peace in knowing he is out of any suffering and is in a wonderful place right now. Memories last forever, my friend! We were sorry to see that your father died. Our sympathy and prayers to you and your family as you experience the loss. May your many memories of your father bring you joy and may faith give you comfort and peace. Joyce, thinking of you at this time of loss. I’m sure the wonderful love shared will bring you peace and consolation. I feel like I had a chance to meet your wonderful father through you. You will have the memories of your life together forever. What a gift he gave to you. My thoughts and prayers are with you all. Our prayers are with you and the family at such a difficult time. It was a pleasure knowing and speaking with Harold when he visited, he was a wonderful man. May you find peace in your heart knowing he is in a much better place now looking down on his family and at peace, and what wonderful daughter you have been for him and continue to be with your Mom. Love you. So glad to have the opportunity to care for him. Loved to see him smile he was a great guy. Especially liked cooking for him he loved to eat. You could see how much he cared for his family. May he feast in peace. If you are experiencing issues printing this obituary from Internet Explorer, it is recommended that you try from another browser such as Chrome, Safari, or Firefox. You may also take a screenshot and print the file. We would also be willing to provide you with a printed copy upon request.